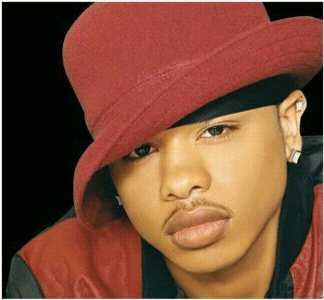 Well damn, I guess all the ex-B2K members are trying to come out with something huh? Raz-B has a video out for a song called Thinking About You. Last time I heard about him he was accusing his “cousin” Chris Stokes of molesting him and he had a profile on a gay networking site. I found the video over on Miss. Jia‘s website and couldn’t help, but take a minute to watch what happened to a member of my favorite boy band. Now the song isn’t half bad, neither are his vocals, but damn it if the cheap quality and HORRIBLE acting don’t ruin all of that I don’t know what does. I would try to embed the video right own here, but as always WordPress doesn’t wanna work with me. B2K, in the words of my Dad, use to be some bad a$$ boys but separately they ain’t worth a $0.99 download to me anymore. What do you guys think? This entry was posted on December 8, 2009 at 12:42 pm and is filed under December 2009, Where Are They Now with tags B2K, J-Boog, Lil' Fizz, music, Omarion, Raz-B, Thinking About You. You can follow any responses to this entry through the RSS 2.0 feed. You can leave a response, or trackback from your own site.